The context of the ICS story is a beautiful one, worthy of the most gifted illustrator. The school is picturesquely located on 5.5 acres on the East Bench of the Salt Lake Valley, drawing students from the 1.1 million people that reside here. The favorite recess time activity for the elementary school students is the hill in front of the school building, providing a challenging course for tag and a perfect sledding hill during the winter months. Approximately 280 students enter the doorframes from families who now represent 53 different churches. Mitch Menning is the newly appointed Head of School at ICS. Mitch began his work career in secondary education, switching paths into the world of certified public accountants and now responding to the vocational call of Christian school leadership at ICS. Three deans serve on the administrative team alongside Mitch, Dr. Brett Armstrong (High School Dean), Lynn Gutzwiller (Middle School Dean) and Paula Potter (Elementary Dean). Twenty-three faculty members and twenty staff members make up those chosen to “shape hearts to serve” (ICS’ current motto). CACE was excited to collaborate on a Big Hairy Audacious Goal (BHAG is a reference from James Collins and Jerry Porras in the book Built to Last: Successful Habits of Visionary Companies). According to these authors, a BHAG is a strategic statement created to focus an organization on a medium- to long- term organization-wide vision which is audacious, likely to be externally questionable, but not internally regarded as impossible. 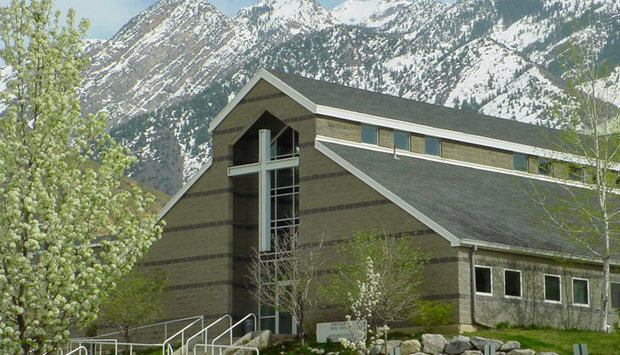 ICS’ BHAG is, in essence, to re-story Intermountain Christian. And, re-story in the most positive sense of this word. For ICS, re-story means taking another look at board governance, new roles for the leadership team, becoming more innovative in their educational practices, and sharpening their marketing and development work. Such a list is one that most schools will resonate with. The story that the CACE Fellows discovered upon our visit to ICS is an exciting one – told through the voices of passionate educators, board members, parents, and students. God’s provisional hand is seen throughout this story, from leading faculty and administrators to positions at ICS to the personal narratives of students and families who have found ICS to be an extension of their own family. The CACE Fellows are looking forward to walking alongside ICS as the administration, faculty, and staff create a learning environment that “spiritually equips and academically prepares students to become better servants and leaders for Christ in their homes, communities, nation and the world” (ICS Vision statement).